The Australian meat pie is a pastry filled with minced beef, onion, cheese, and Worcestershire sauce. 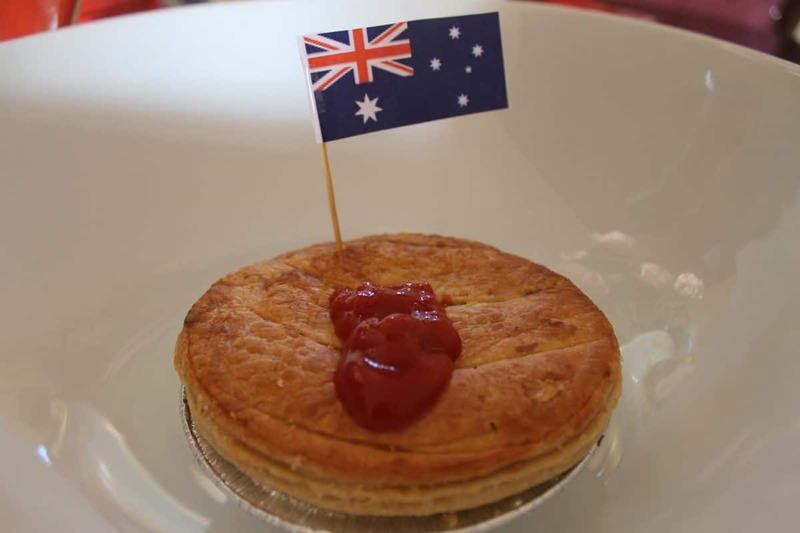 The meat pie was first introduced by the English and Irish that came to Australia during the settlement period. During this time, the Australians where introduced to many different traditions, and this is how several of their own began. The Australian meat pie was a preferred food as it was possible to produce it with low costs. During this time they used mutton as the meat for the meat pies, as this was the cheapest way to produce them. After some time, the mutton meat changed into beef, and this is the most popular choice today. Nowadays, there is a lot of variety of the meat pie fillings – vegetarian, steak, chicken, and combination meat pies. Plenty to choose from. Australians eat meat pies as a fast food snack. As other countries have hamburgers, hotdogs, fries and so on, Australians choose meat pies. You can buy meat pies at food stalls, bakeries, supermarkets, and fast food outlets. The meat pie is an snack which can eaten with your hands – cutlery isn’t necessary. The Australians put tomato sauce on top. The meat pie is eaten hot. During football games, the meat pie is one of Australia’s most popular snacks to eat. The British meat pie is popular for its Cornish pastry and its steak with gravy filling. The pie origins can be traced back to the ancient Egyptians who during this ancient time, made pie pastry out of flour while wrapping it around meat. Some, however, believe that it originates from the Greeks and others from the Romans; during this time both the Romans and Greek prepared different meat dishes with pastry. Nowadays you will find the British meat pie in bakeries and supermarkets. Traditional British families still use the traditional British meat pie recipe. Most tourists are aware of fish and chips and ‘bangers and mash’ when visiting the UK, but you should definitely try the traditional British meat pie as well. Just like Australian meat pies, British meat pies come with various meat/vegetable fillings. 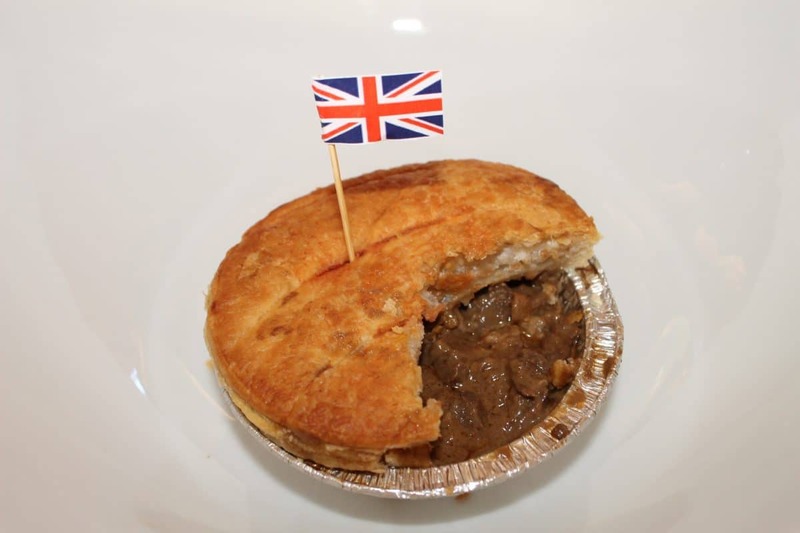 However, the steak, onion, and gravy filling is the traditional British meat pie and the most popular. The British meat pie is served hot. It is a small hand-sized pie which is eaten with cutlery. The British meat pie is eaten as a snack during lunch or in between lunch and dinner. You can find the British meat pie in bakeries and supermarkets. Pastelitos Dominicanos are mini golden meat pies. Compared with Australian and British meat pies, pastelitos Dominicanos are much smaller. These small meat pies are filled with beef, onion, cheese, and peppers. Other fillings such as vegetables, chicken, seafood or fruit are also used as a filling, however the beef, onion, cheese, and peppers are the most popular. In South America there are various different kinds of meat pies which originate from different countries. The structure and shape of these meat pies, as well as the fillings, are different compared with the pasteltos Dominicanos. In Cuba for example, fruit fillings are really popular for the pie. The meat pie is round. 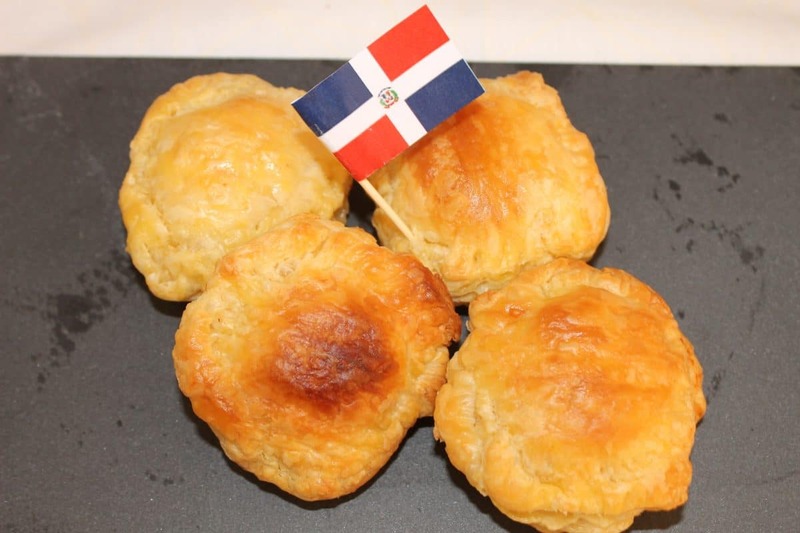 The pasteltos Dominicanos are small meat pies which are eaten by hand. You don’t need any cutlery because they are bite-size. They are eaten as appetizers. They are small and you are welcome to eat as many as you like. They are not too spicy. These small roundly shaped meat pies are eaten on occasions such as birthday parties, ceremonies or other celebration events.